Ulpan (Hebrew immersion course) is winding down and baby #3 is still cooking, so I wanted to kick off my move to Modiin with a special class on Breastfeeding with Instinct. New class in Modiin, Israel for pregnant women! Join Debra Waldoks, MPH, RD, CLC for an eye-opening class on how to use your maternal instincts and the baby’s natural reflexes to get breastfeeding off to a good start without pain, doubt, or breastfeeding paraphernalia. If you have ever wondered why something so natural seems so difficult, this is a must-attend class! * How to practice and train your muscle memory without nursing pillows, chair gliders or other external items. Debra Waldoks, MPH, RD, CLC is a USA Certified Lactation Counselor and Registered Dietitian with a Master’s Degree in Public Health. She has successfully implemented breastfeeding initiatives in New York City’s prison-based nurseries and low income hospitals by training hundreds of nurses and hospital administration in breastfeeding education and policies. 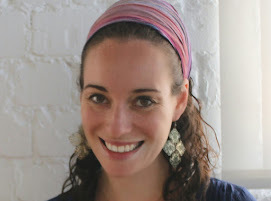 She also specializes in pediatric nutrition, fertility & PCOS nutrition, and prenatal nutrition, and was an adjunct lecturer in nutrition in New York City before moving to Israel in August 2012. Contact her at Debra@BeyondPrenatals.com for more information and to register.